As the nominated repairer for Bristol Honda we can ensure that your Honda is repaired to its pre-accident condition. Whilst we repair your Honda, we will use nothing but the Honda recommended repair methods, Honda approved paint and genuine Honda parts. 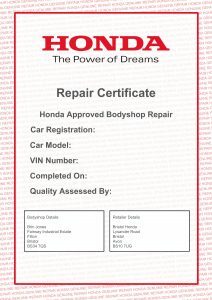 Under block exemption regulations it is your choice as to where you have your vehicle repaired; so why not use us, as a Honda approved repairer, to ensure your Honda remains in an excellent condition. With Brin Jones, you will get the extra mile when it comes to our service. 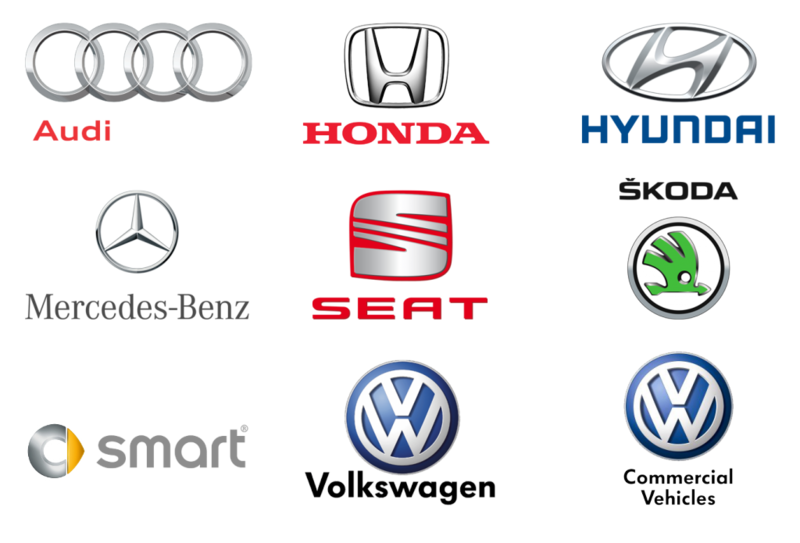 Once your vehicle is repaired you will receive a Honda repair certificate that guarantees the repairs for the lifetime of the vehicle. No other bodyshop in Bristol or the surrounding area can offer this. To keep the guarantee valid all you need to do is visit us on the anniversary of the repair so we can carry out a yearly inspection to ensure that the repairs have remained to Honda’s high standard. We also work with Honda’s accident assistance program (HARP). In the event of an accident, the last thing you need is the added stress of having to sort everything. The HARP goes the extra mile as standard and offers assistance, FREE to all Honda owners, whether your vehicle is new or used. If your vehicle cannot be driven, they will arrange collection from your current location and bring your vehicle to us. They will assist you to make your onward travel, and a replacement vehicle will be provided while your Honda is being repaired. There is even an app for that! For more information on accident assistance, please visit www.honda.co.uk/accident-assistance .